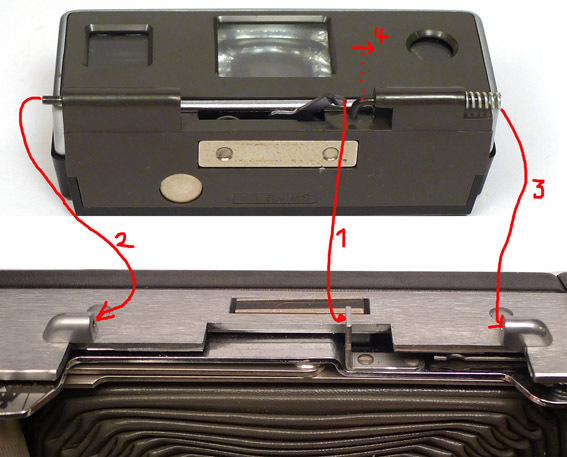 The viewfinder can be removed by pushing pin Nr 4 towards the left. This can be some hard - Use gently a small screw driver and a hammer. Be carefull not to loose the small spring.